Three o’clock in the morning… and we started our third Indian trip, we three of us. 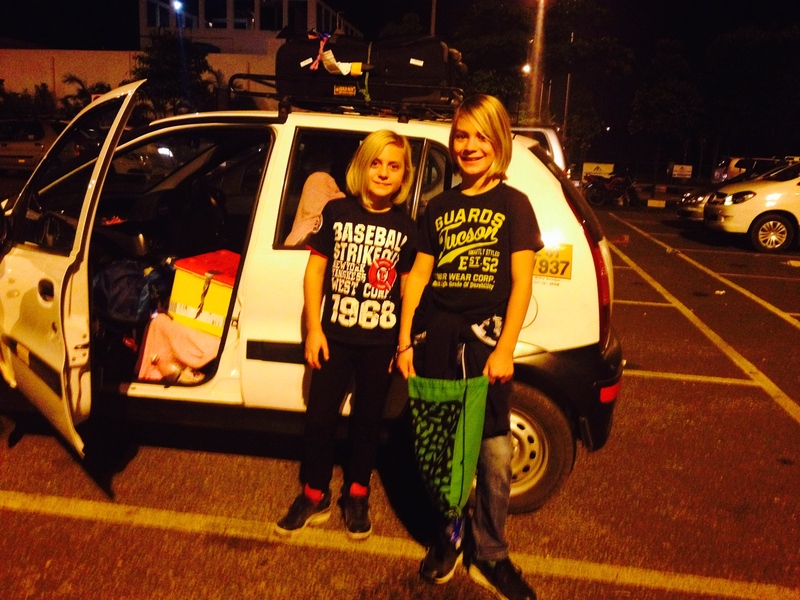 Many hands wanted to carry our three suitcases, and even more wanted us to drive to our first destination: Varkala. We decided to take the driver who did not push so much. With the first suitcase, the taxi was already half packed. With the second piece, we could hardly sit, and the third piece did not have any free space any more. But the driver found a proper solution, on the roof, well fixed with a thick string. The adventure could begin. And there was again this smell of India in the air which always strikes me and makes me feel at home. And the taxi brought us, two sleeping beauties, and one too excited traveller safely to our Tibetan friend who was still sleeping because we arrived much to early.